Music has been significant for 15-year-old Christopher Duffley. “Music to me is for one thing: it brings joy to people. Singing is a gift that I share. Because I'm blind, I see people with my heart for who they truly are instead of what they look like on the outside," the 15-year-old told ABC News. 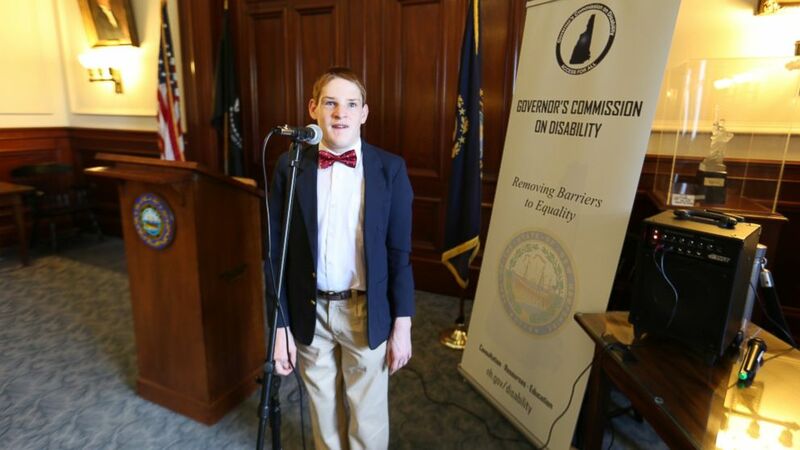 (Angel Canales/ABC News) Christopher Duffley performing the Star-Spangled Banner at the New Hampshire Governor's Commission on Disability. Concord, NH. July 27, 2016. Christopher, who had been placed in foster care as a baby, was raised by his aunt Christine Duffley and her husband Steve. The couple formally adopted him in 2003. "I wanted to do the right thing," Christine said. "I wasn't looking to be a super mom,” the mother of four said. 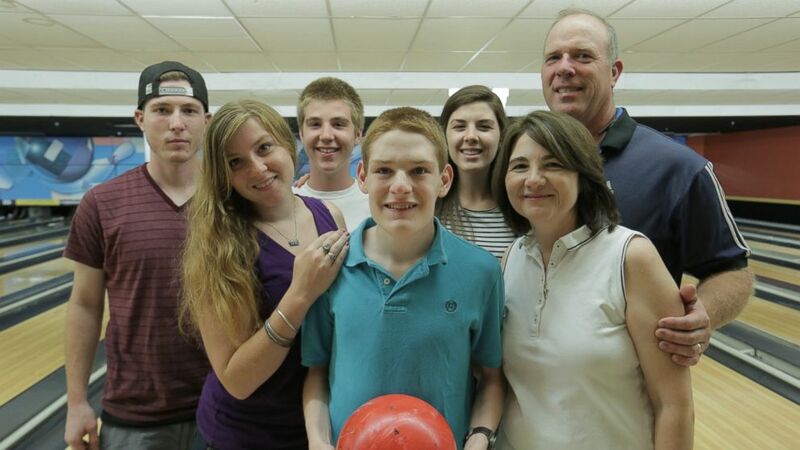 “A lot of families with special needs can identify with the day-by-day survival. I didn't know how to take care of a blind and autistic child. My kids loved Christopher and we want Christopher to be independent. We want him to thrive so we gave him as many things as we could." (Angel Canales/ABC News) Christopher Duffley hosting a class with students at Making Community Connection Charter School in Manchester, NH. 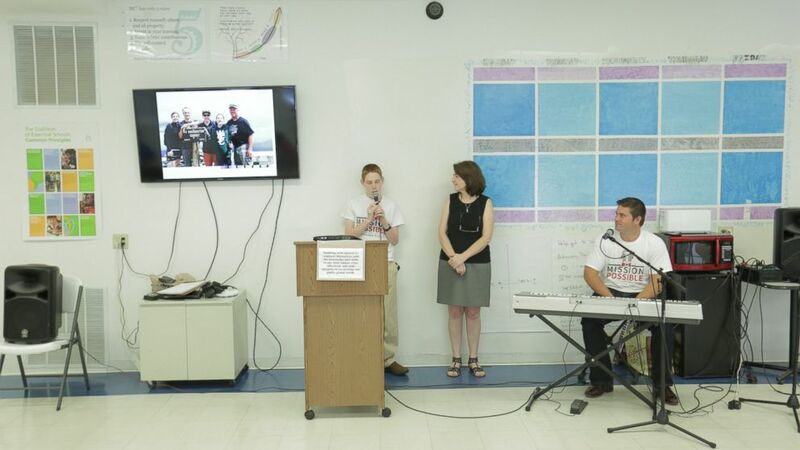 Christopher learned how to communicate with others through his love of music. “It was the music therapy where we realized that he really had talent, that he had perfect pitch, that the harmonies we heard were definitely a gift that he had,” Christine said. His burgeoning singing career took off after he posted a now-famous video clip of the song “Open the Eyes of My Heart” in 2011 on YouTube. “There wasn't a dry eye in the place and the ovation was crazy. It was just a beautiful experience because the choir was behind him,” Steve Duffley told ABC News. That video has been translated into multiple languages and viewed millions of times. Christopher has since performed for NASCAR, the Boston Red Sox, at national political debates and even during Pope Francis’ visit to Philadelphia in 2015. “I like singing because when I'm at an event, I know that it brings joy to people,” Christopher explained. (Angel Canales/ABC News) Christopher Duffley with his former Para Teacher Lisa Hanel in his home in Manchester, NH. July 26, 2016. Christopher hosts a weekly “Mission Possible” podcast as a way to connect with fans and to encourage others living with disabilities to dream big. He even edits and engineers each podcast. (Angel Canales/ABC News) Christopher Duffley with his family in Manchester, NH. July 25, 2016. Christopher's music coach, Michael Shaughnessy, says the young man is a natural leader. “He wants to advocate for people. He wants to move other people to action. I see that in him. That's a leadership quality I think he has,” he said. 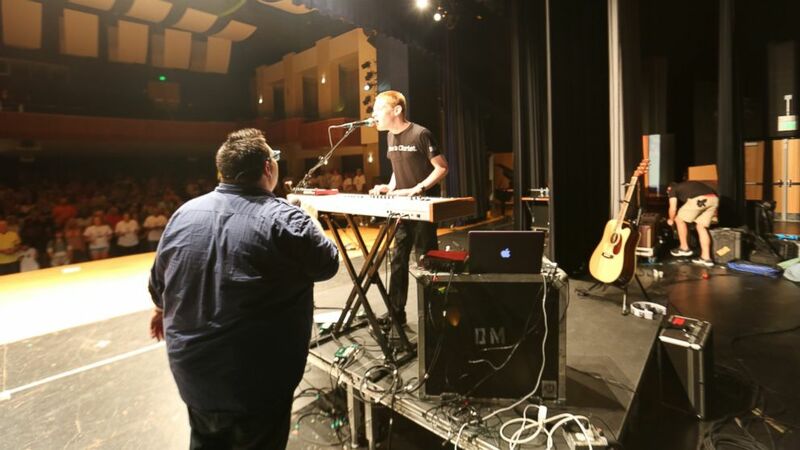 (Angel Canales/ABC News) Christopher Duffley (right) performing on stage with SideWalk Prophets' David Frey in Manchester, MD. July 23, 2016. Christine says Christopher is also teaching his peers about his disability and how he is very much like them in other ways. "The kids get to learn things about blindness so that when they meet a blind person they're more comfortable. They realize ... that Christopher has the same dreams and aspirations. He's no different, he just does things differently,” Christine said. For more stories from our "Young and Gifted" series, tap the bell icon on this story in ABC News’ phone app. Download ABC News for here or ABC News for Android here.